Ever thought getting a job in law was as cut and dry as just being a lawyer? Well, thankfully it’s not that simple. If that were the case, would there really be enough jobs to go around for law graduates? Probably not. A law degree can take you many different places other than the courtroom. Even if you do end up working in court, it isn’t just as simple as being a prosecutor or defender. 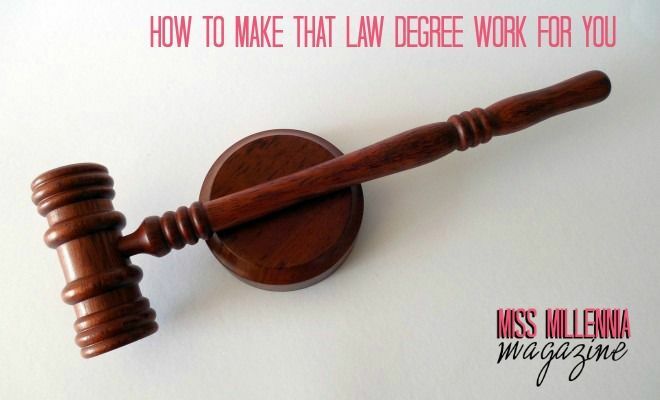 Here are a few examples how you could put that law degree to good use. Yes, the Government needs lawyers too. Both locally and nationally actually. You might wonder why the people who make the laws need lawyers on their side. A primary reason would be to ensure new laws do not infringe on old ones. If they do, alterations to one or both laws must be accommodated. In some cases, a Government lawyer may have to work on the finer stipulations of a law. This means accounting for all impacts and eventualities it may have. In other cases, the Government may need a lawyer in a more conventional sense. I know I said this was about unconventional law jobs. These kinds of cases can be very tasking but incredibly rewarding, however. If you want to step into the private sector, you could join some lobbying firms to represent corporate interests. While involving Government, you do not have to work directly with them. You may get a draft of a policy or law to look over. From there you will compare it with the interests you are representing and find areas that will damage them. It may also be your responsibility to make alternative suggestions for elements of the law. Some corporate interests may not match with your moral or personal outlook. Be sure you know who you are representing. Being unable to perform to the best of your ability for personal reasons may affect your job. If you can’t do, teach. That’s a cruel way of putting it. It isn’t entirely untrue. While not relaxing or financially rewarding, if you have a passion for the law the best thing for you could be to pass it on. This will require some additional training and a lot of experience to get right. It could take you years to achieve the position you want, depending on what level of education you are looking to get into. Nothing else is working out for you? There’s no harm in going back to becoming a traditional lawyer with a firm or as an individual. While it is a very steep and slippery career path to climb, it might ultimately be the best use of your degree. Of course, nothing is stopping you not using your degree. Some people realize after years of study and some professional experience that they want something else in life. Choose what you do with yourself carefully. Make good use of your smarts and your skills.